Working in Florida, we are often called upon shoot country club photography for many of the private clubs in the area. One of our recent architectural photography assignments took us to the Gulf Stream Golf and Country Club. 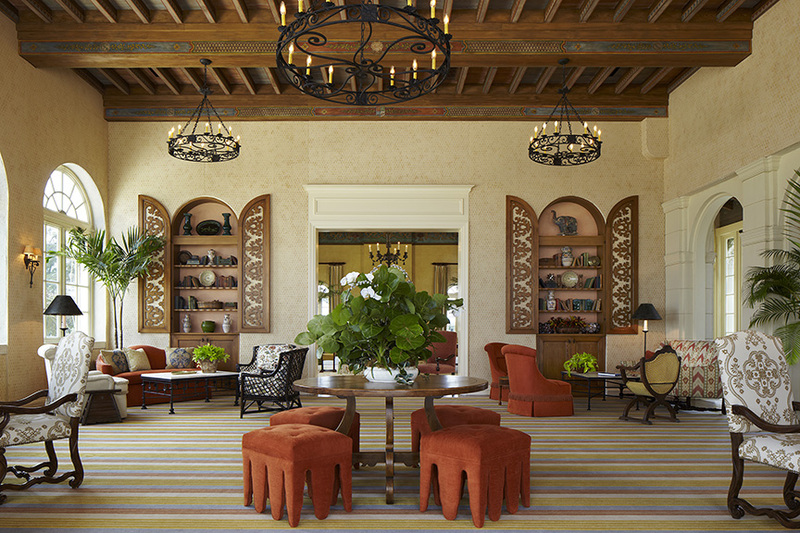 Situated on a scenic stretch of AIA, the club underwent a multi-year renovation. We worked with our clients, architect Bill Wietsma and Kemble Interiors, capturing both interior and exterior elements of this grand building. 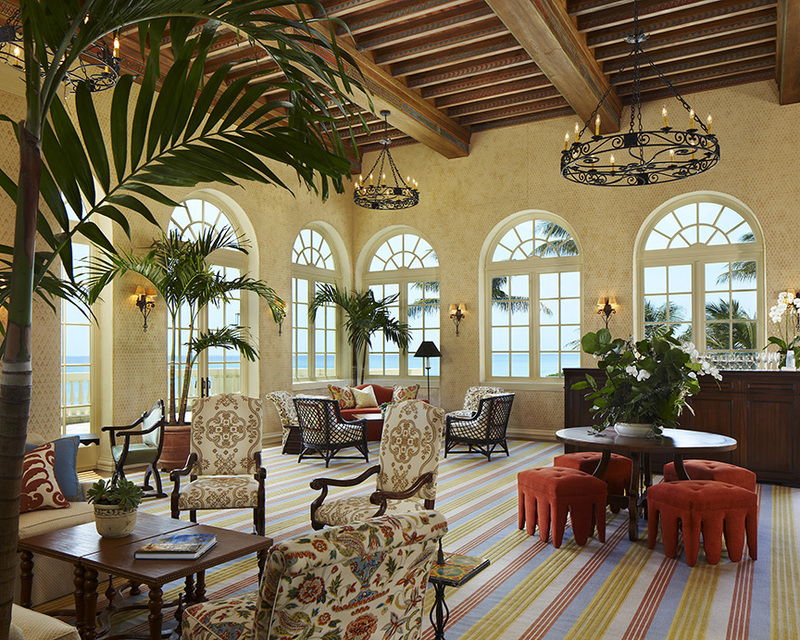 Built in 1924, the GSG&CC was designed by famed architect Addison Mizner. 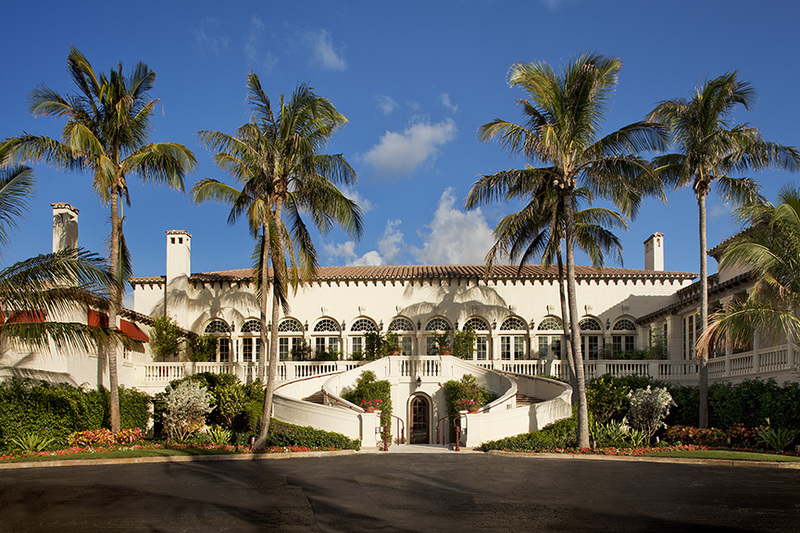 With its graceful Spanish-Italian architecture, the clubhouse, upon opening was called “the most attractive Mediterranean design in America” by Architectural Forum Magazine. The founding members limited the club’s membership to 200 with a $2500 membership fee. 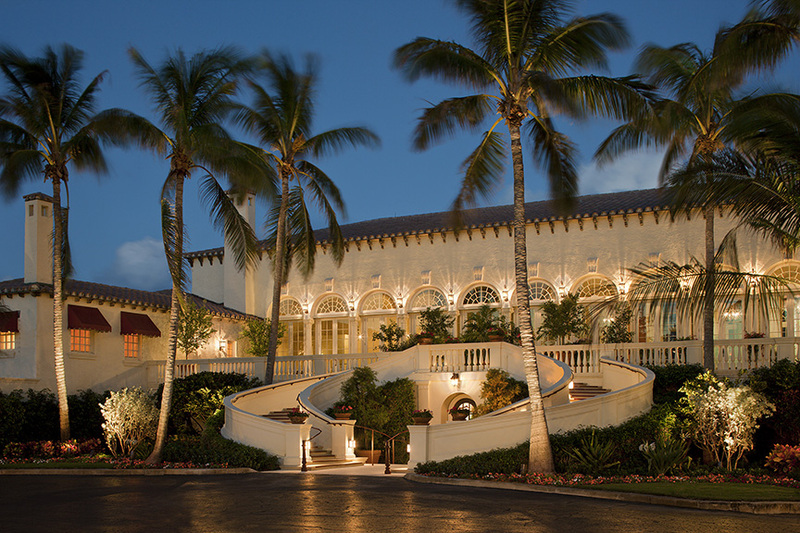 Mizner gave the facade a loggia and a double flight of curving stairs. 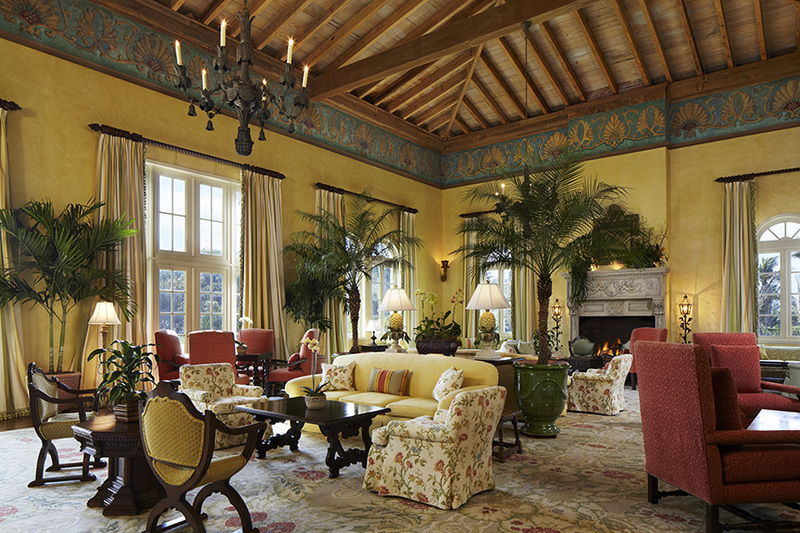 With pecky cypress beams, large fireplaces and ocean views, it is a masterpiece of old Florida in grand style. Even the club kitchen was given a panoramic ocean view! Since the renovation was a multi-year project, our photo shoot was stretched over several years as we documented the progress in each phase. 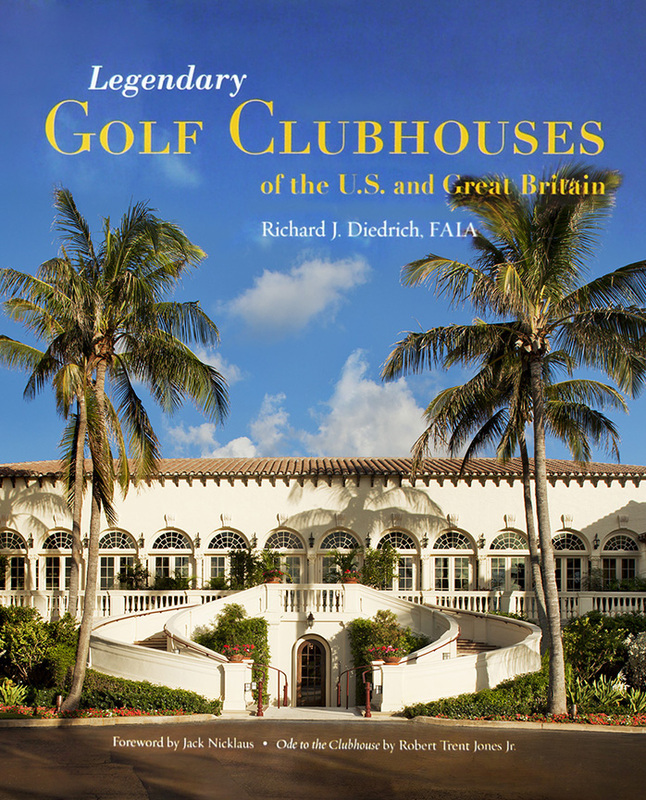 Upon completion, the club was included in the book, Legendary Golf Clubhouses of the U.S. and Great Britain, published by Rizzoli.